This is a wonderful project that allows students to express themselves creatively. 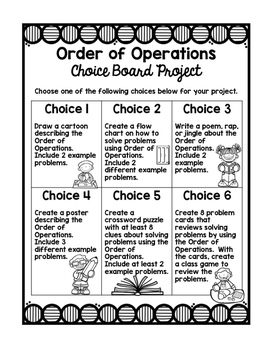 Students have the option to PICK which project they would like to create. 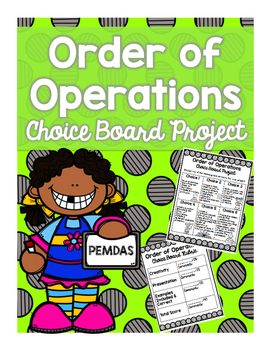 Students are all reviewing the order of operations, however they are representing it in different ways. 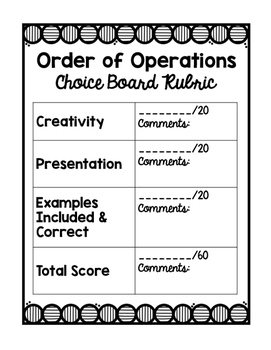 Allows for all students to express themselves in their own way. Includes options ranging from songs and art to puzzles.